With just a few days left in 2018, many of us have taken to social media to talk about our favorite media in 2018, including music, movies, books and more. Of course, that includes some of our favorite celebrities. On Friday, former President Barack Obama took to Instagram to reveal his 2018 favorites, shouting out former first lady Michelle Obama’s memoir, Becoming, noting that it was “obviously [his] favorite!” like the great husband he is. That’s not all. He also mentioned a list of other books he loved as well as songs and movies. We knew Obama had good taste, but these lists feature a lot of our favorites too. In addition to shouting out his and Michelle’s BFFs, Beyoncé and Jay-Z, by including their song “Apes***t” on his favorite songs list, Obama also listed songs by Prince, Leon Bridges, Janelle Monáe, Cardi B and Brandi Carlile, among others. His list of movies was shorter, though it included 2019 Golden Globes nominees like If Beale Street Could Talk, Eighth Grade, BlacKkKlansmen, Roma and Black Panther. He also listed Annihilation, The Death of Stalin and the documentary film Minding the Gap, among others. 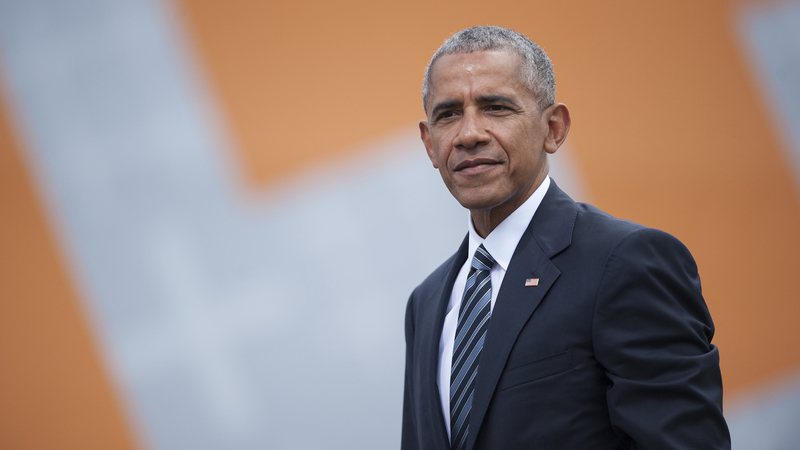 Finally, aside from his wife’s memoir, Obama listed 28 books he considered favorites from 2018. They include Tayari Jones’ An American Marriage, Steven Levitsky and Daniel Ziblatt’s How Democracies Die, Zadie Smith’s Feel Free and others as well as books that weren’t released in 2018, like Chimamanda Ngozi Adichie’s Americanah. We have to admit, the songs Obama chose as his 2018 favorites would make an awesome year-end playlist.